Alexander Goehr, composer and teacher, was born in Berlin on 10 August 1932, son of the conductor Walter Goehr, and was brought to England in 1933. He studied with Richard Hall at the Royal Manchester College of Music (where together with Harrison Birtwistle, Peter Maxwell Davies and John Ogdon he formed the New Music Manchester Group) and with Olivier Messiaen and Yvonne Loriod in Paris. In the early 1960’s he worked for the BBC and formed the Music Theatre Ensemble, the first ensemble devoted to what has become an established musical form. From the late 1960’s onwards he taught at the New England Conservatory Boston, Yale, Leeds and in 1975 was appointed to the chair of the University of Cambridge, where he remains Emeritus Professor. He has also taught in China and has twice been Composer-in-Residence at Tanglewood. Goehr has written five operas: Arden Must Die, Hamburg 1967; Behold the Sun, Deutsche Oper 1985; Arianna, lost opera by Monteverdi, Royal Opera House, Covent Garden, 1995; Kantan & Damask Drum, Theater Dortmund September 1999; Promised End, derived from King Lear, London 2010; and a music theatre Triptych (1968-70). His orchestral works include four symphonies, concerti for piano, violin, viola and cello and other orchestral compositions, which have been commissioned and performed by major organisations and leading conductors. He has a particularly close working relationship with Oliver Knussen, who has premiered and recorded several works. Many of his works have been commissioned by the BBC and have frequently been featured at the Proms. The year of Goehr’s appointment at Cambridge coincided with a turning point in his output, with the composition of a white-note setting of Psalm IV (1976). The simple, bright modal sonority of this piece marked a final departure from post-war serialism and a commitment to a more transparent soundworld. Goehr found a way of controlling harmonic pace by fusing his own modal harmonic idiom with the long abandoned practice of figured bass—thus achieving a highly idiosyncratic fusion of past and present. The output of the ensuing twenty years testifies to Goehr’s desire to use this new idiom to explore ideas and genres that were already constant features of his work, such as the exploration of symphonic form (Sinfonia (1979), Symphony with Chaconne (1985-86), Eve Dreams in Paradise (1987-88), Colossos or Panic (1991-92)). However, these years’ output is also characterised by a number of ambitious vocal scores. A common feature of many of the vocal compositions of these years is the choice of subjects that function as allegories for reflection upon socio-political themes: The Death of Moses (1992); the cantata Babylon the Great is Fallen (1979) and the opera Behold the Sun (1985). There are also non-political works: the cantata Sing, Ariel (1989-90), that recalls Messiaen’s stylized birdsong and sets a kaleidoscope of English poetry, and the opera Arianna (1995), written on a Rinuccini libretto for a lost opera by Monteverdi, is an exploration of the soundworld of Italian Renaissance. After productions of his opera Kantan & Damask Drum (1997-98) in Dortmund and London, Goehr devoted himself almost exclusively to chamber music. Through the chamber music medium Goehr gains an unprecedented rhythmic and harmonic immediacy, while his music remains ever permeable by the music and imagery of other times and places. A series of quintets for different combinations began with Five Objects Darkly (1996) and grew with …around Stravinsky for violin and winds (2002); and Since Brass nor Stone… for string quartet and percussion (2008), a memorial to Pavel Haas which won a British Composer Award. The set of piano pieces Symmetries Disorder Reach (2007) is a barely disguised baroque suite; Marching to Carcassonne (2003) flirts with neoclassicism and Stravinsky. Further works for ensemble include …between the lines (2013) premiered by the Scharoun Ensemble Berlin in 2014, Verschwindendes Wort (2014-15) which has been performed by Ensemble Modern. In recent years Goehr’s quintet after “The Waking” commissioned by London’s Wigmore Hall and the Santa Fe Chamber Music Festival was premiered by the Nash Esemble, and the trio Largo Siciliano (2012) for violin horn and piano was been notably performed with pianist Daniel Barenboim. Goehr’s notable contribution to the genre of string quartets will be increased in June 2019 with the world premiere of his fifth quartet, Vision of the Soldier Er, performed by the Villiers Quartet. Goehr returned to the operatic medium with the opera Promised End (2008-09), based on Shakespeare’s King Lear, performed in 2010 by English Touring Opera. His piece for baritone and ensemble, TurmMusik (2009-10), was premiered with Nigel Robson and the BBC Philharmonic conducted by HK Gruber. When Adam Fell (2011-12), commissioned by the BBC to celebrate his 80th birthday, was premiered by the BBC Symphony with Oliver Knussen. 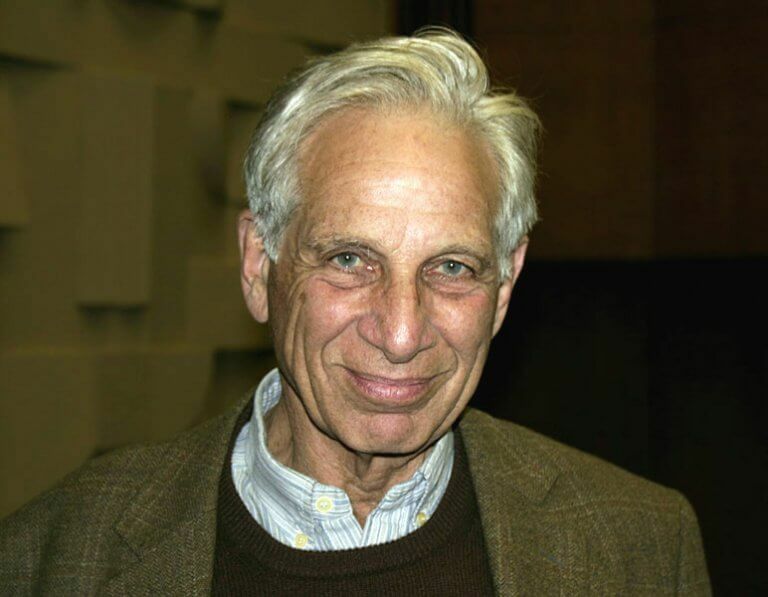 Alexander Goehr is an honorary member of the American Academy of Arts and Letters, a former Churchill Fellow, and in 1997 gave the BBC Reith Lecture. He is an Emeritus Professor at Cambridge University, and his manuscript archive is curated by the Berlin Akademie der Künste. Much of Goehr’s music is available on the NMC label, including Colossos or Panic, Little Symphony and The Deluge, and a portrait disc of his orchestral music has been released by Naxos. Collections of his writings can be found in ‘Finding the Key’ (Faber & Faber 1998), and in ‘Fings ain’t wot they used t’be’ (Berlin Akademie der Künste and Wolke-Archive 2012).